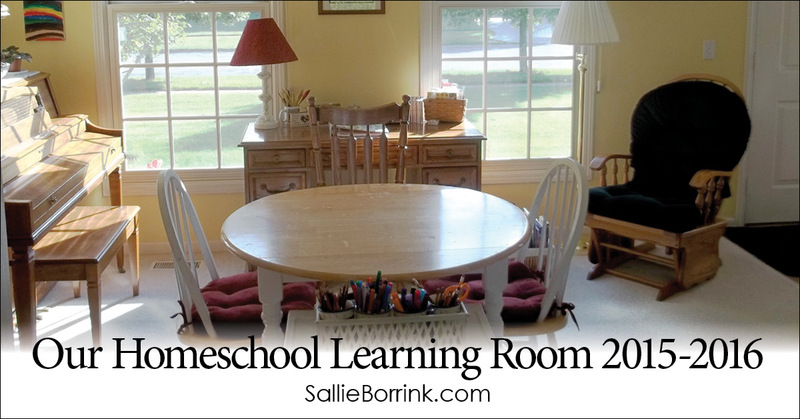 This will be our fifth year of homeschooling as Caroline heads into fourth grade. Each year our homeschooling has changed because we’ve changed as a family and grew to better understand Caroline and her educational needs. 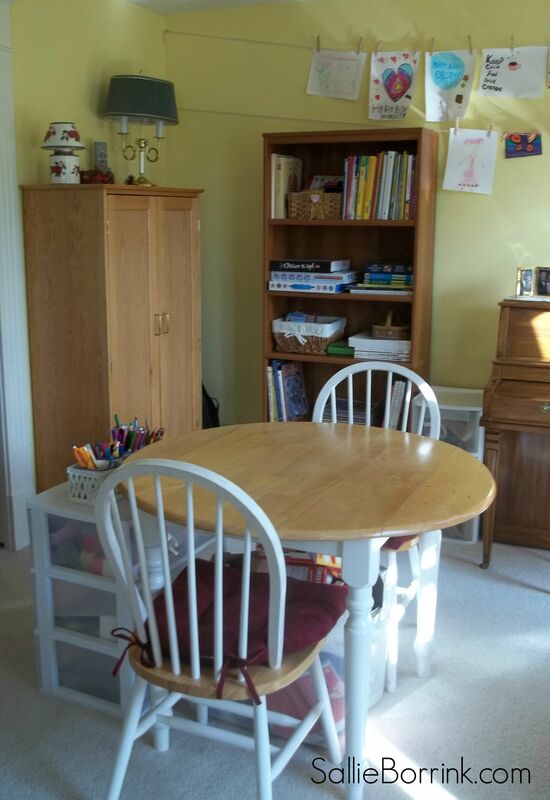 Our homeschool learning room reflects some of those changes. If I were to be most accurate with showing pictures of where learning takes place for our family, I would include pictures of our local public library, Caroline’s desk in her room where she has a laptop, her bedroom where she plays and creates, and her bed where she uses her Kindle and where we read aloud to her. This is a shot of the room I don’t think I’ve ever shared. This is looking in from the family room and out the front windows. It is not a very large room, but cozy and welcoming. 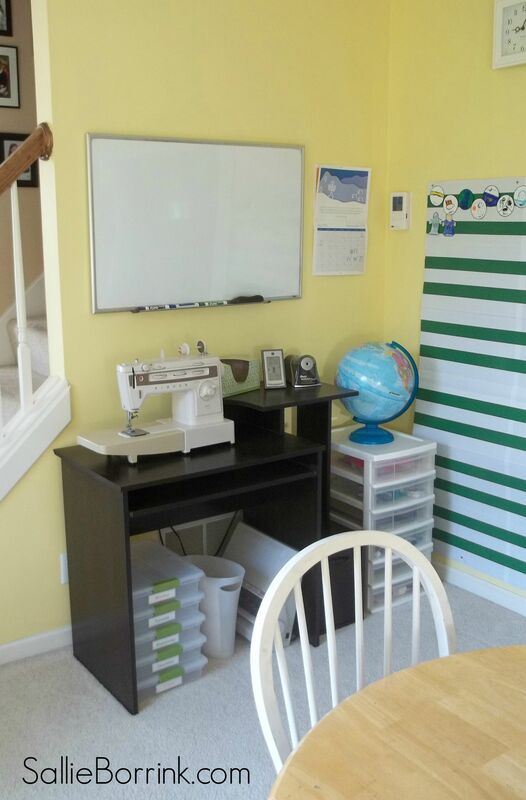 Caroline has expressed an interest in sewing so I put my sewing machine in the learning room on the computer desk. It’s an older model I inherited from my grandma, but it does what I need it to do. It’s a good machine for Caroline to explore on. You can also see our The Mystery of History timeline that I hope to start working on again as well as our GrapeVine Studies Biblical Calendar. The workboxes are on the floor. (I wrote about our curriculum plans for this year here.) The drawers have supplies for notebooking. The dry erase board is where we do our math for now. This next corner hasn’t changed much. We still use the craft cabinet for craft supplies. I moved the games to a small bookcase in the dining room since that is where we usually play games. The only bookcase in the room has been radically emptied as part of my life-changing tidying up and I still need to finish clearing more stuff out of it. 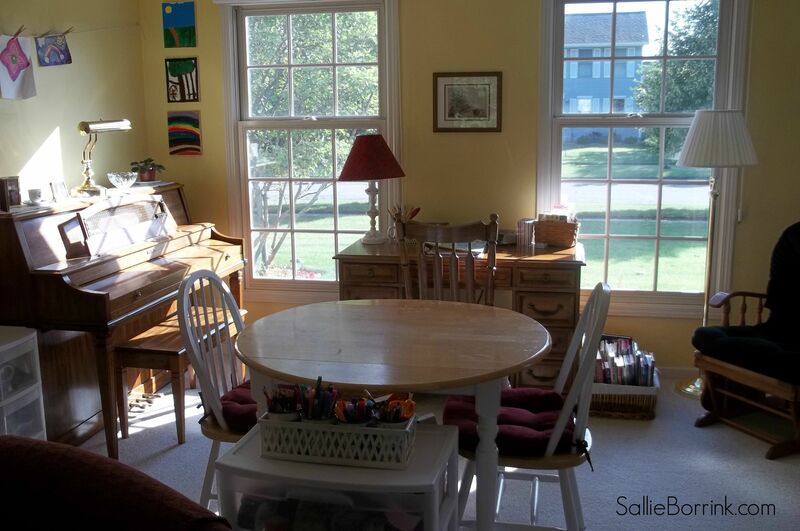 We have bookcases and books in almost every room of the house, but only a minimal amount in the learning room. It is due to many factors. We only have one child, we use minimal formal curriculum, and we are heavy library users. I simply could not afford to keep up with Caroline’s book use if I tried to purchase even a fraction of what she reads. We always have an overflowing library book basket in the learning room. 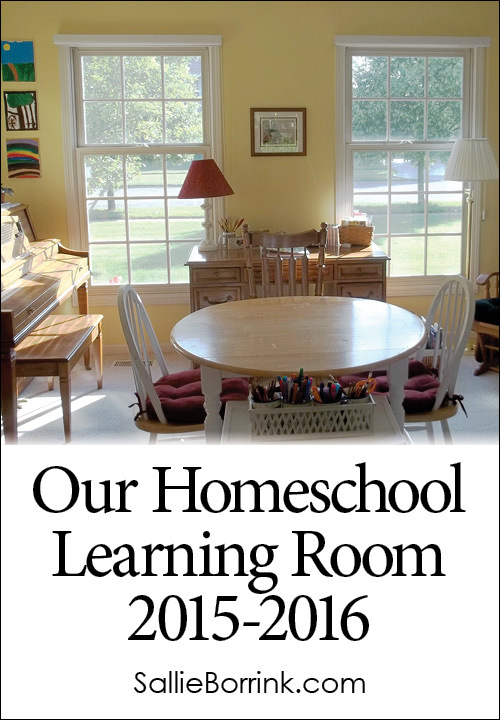 So there is a little tour of our homeschool learning room! If you would like to see more homeschool rooms, be sure to visit the “Not” Back to School Blog Hop that features all of the spaces where people do their homeschooling. I like your little table. 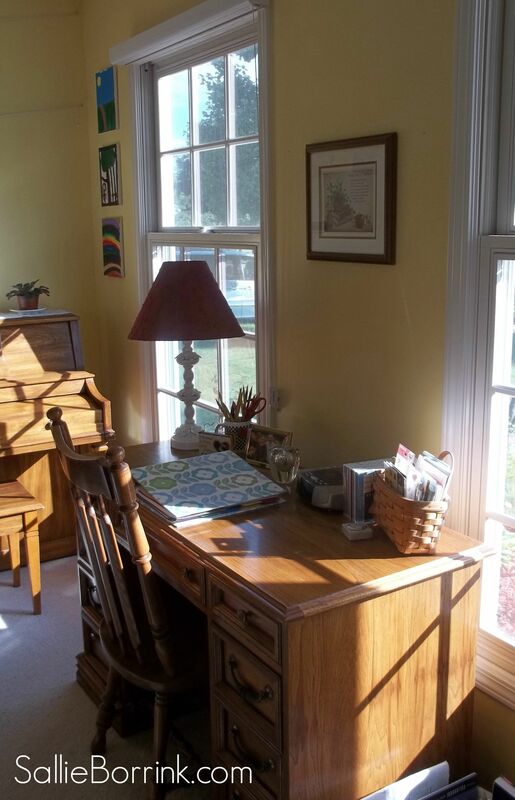 Looks like the perfect spot for your tablework. We’re big fans of the library — and SO MANY BOOKS, too.